Image W x H 30" x 18" ? 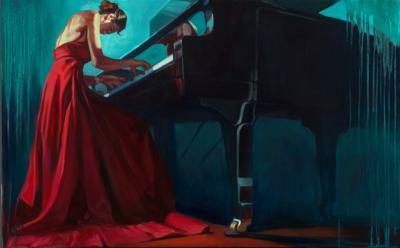 Perched at her piano stool, lost in the passion of the concerto and dressed to kill, the pianist in question fills the mind and hand embellished canvas of one of the contemporary figurative genre’s rising stars; namely Gabe Leonard. 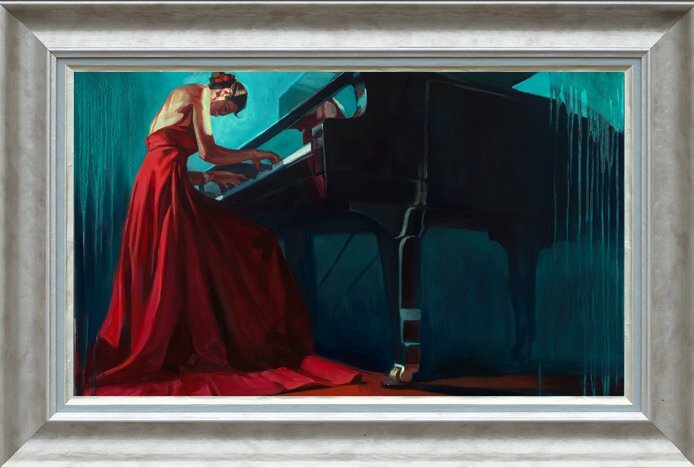 ‘It Takes More Than Talent’ is an illustrative rousing brand new piece which strikes a keen graphic chord with fans of colourful compositioning and dramatic weight and balance to their art. 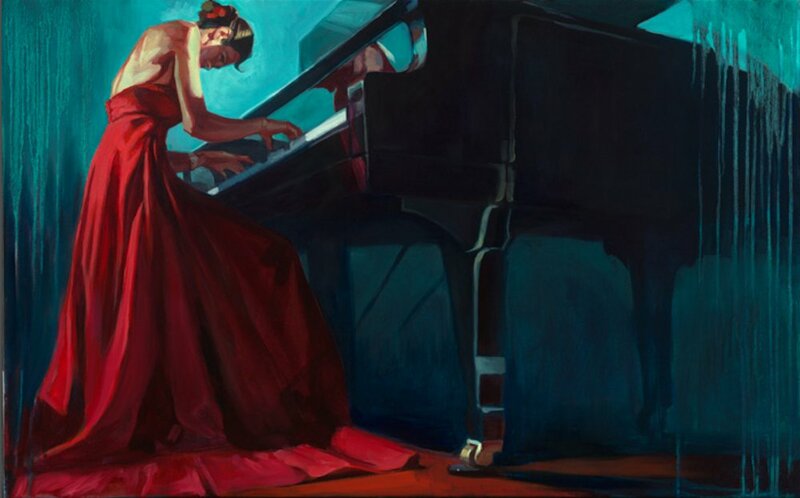 More than up to the job of delivering on all counts, Leonard’s latest, individually signed and limited edition study affords the viewer a towering visual presence, the like of which would rapture many a long-toothed artisan, never mind a relative new kid on the figurative block such as Leonard. Announcing his arrival in some degree of style, ‘It Takes More Than Talent’ is available to order in store and online now. Framed W x H: 37" x 25"
Framed W x H: 35" x 23"
Framed W x H: 36" x 24"